Governments all over the world have been known to have kept many secrets from the civilians due to the mass panic that it will cause. The list is long, and does not only comprises of military secrets that the governments tend to keep close, but secrets of UFO sightings and scientific experiments were also kept under closed security, behind the knowledge of common people. 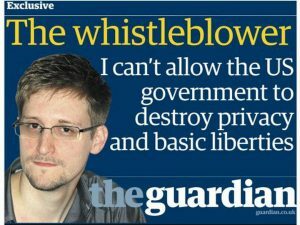 For example, the mass surveillance activities conducted by NSA which was clearly a violation of privacy was leaked by whistleblower Edward Snowden in 2013. In recent times, some of the most disturbing secrets have been revealed, either by whistleblowers or by the declassification of the classified documents. Here, we list the top 12 disturbing government secrets revealed, which will send a chill down your spine. We all know Winston Churchill. Winston Churchill was the prime minister of Britain during the second world war, which means he had to take some very rough decisions. But, none can match his plan of executing Hitler by means of an electric chair, if Adolf Hitler fell into his hands (read Allied hands). 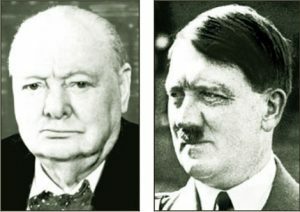 He strongly opposed the idea of the allied to give Hitler a trial, and just wanted to execute him in terms of the cruelty he has served to the entire world through the World War. Sources say, that he was also happy to see Mahatma Gandhi die on the course of the Hunger Strike in 1943. Moreover, the declassified documents also prove his plans of wiping out entire German villages, for the revenge of atrocities caused by the Nazi army in Czechoslovakia. Despite his plan, we all know the History, and Hitler committed Suicide. It’s been 51 years since Churchill has died, but he is still a famous man, owing to his secrecies. 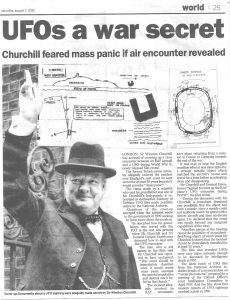 In 2010, Britain’s Defence Ministry released its files on UFO, which consisted of a set of letters written by the grandson of a personal bodyguard of Sir Winston Churchill, which says that, Churchill in order to avoid ‘mass panic’, and loss of faith in religion ordered a cover-up of a close encounter between an RAF bomber and a mysterious U.F.O. According to the letters, the decision of the cover up was taken by Churchill after a secret meeting with U.S General Eisenhower. Later, in 1952, Churchill ordered a closed investigation on the flying saucers. The CIA Mind Control Experiments stirred the world on 1977. 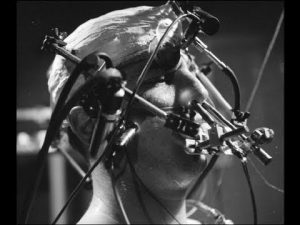 The declassification of the Mind Control experiments started on a senate session in 1977 and went on up till 2001, where some of the survivor’s information was declassified. Named as Project MK-Ultra, the Mind Control Experiments were mainly conducted in a secret place in U.S and Canada. It involved human subjects, who were subjected to various drug like LSD, and also radiological and biological agents. In 1973, the CIA director ordered a cover-up of the files of MK Ultra and destroyed the classified files. 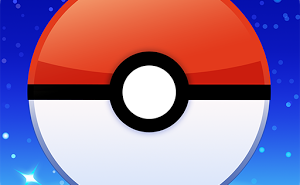 Smelling foul play, the following year, the New York Times reported the incident. It caught the attention of the government, and they claimed that they knew nothing if it, and ordered a declassification on 1977. The investigation says, that the CIA has been executing the experiments since 1953, and has spent about 20$ dollars on the project. Some people say that these experiments were conducted by the CIA so that they can program people to conduct assassinations without question. The list of Government secrets cannot be compiled without Area 51. Area 51 is still a mystery and was partly declassified in 2013. In 2013, the government publicly acknowledged that there is a military base in Nevada by the name of Area 51. It is a high-security area, where people are restricted in a circle of 1km. For many decades, there have been rumors of secret alien experiments in Area 51. 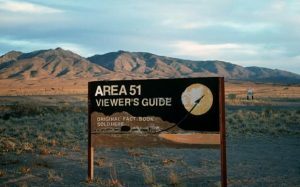 In 2013, when the existence of Area 51 was declassified, the CIA officials say that Area 51 is used to test, secret planes and war equipment. But, none has been proved by either the CIA officials or the Government, and it is still a ‘Hush-Hush’ area, and people are not allowed to even enter its radius. Cuba was a problem for the Americans in the late 1950’s and 1960’s. Fidel Castro and his party members wanted an independent Cuba, with the communist belief. To tackle this situation, the Joint Chief of Staffs, approved the plan of terrorizing its own citizens. The operation known as Operation Northwood’s was to disgrace the Communist party of Cuba, mainly Fidel Castro. The operation was approved by the chairman of the Joint Chief of Staffs, which allowed the killing of innocent civilians, terrorism in cities like Washington D.C, New York to frame Fidel Castro and the revolutionaries. The bombings and the terrorism in this major cities were enough for the government to launch a war against the revolutionaries. Operation Northwood’s by far is the most corrupt plan by the U.S Government. 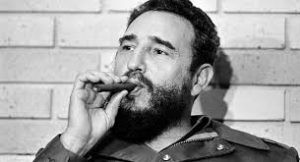 In the mid-1960’s, the CIA had plans of killing Fidel Castro. They have planned it 8 times but haven’t succeeded for once. The Reports and documents, depicting the CIA plans of killing, involved ways like cigars, poisoned pills, contaminated air, fungus etc. One weird plan, by one of the CIA official, was to place thallium salt in his shoes, so that his beard would fall off and he would be publicly humiliated. Fidel Castro was an avid diver and loved to dive in the coral islands of Cuba. The CIA planned to keep a booby-trapped seashell, in the area where Castro usually dived. 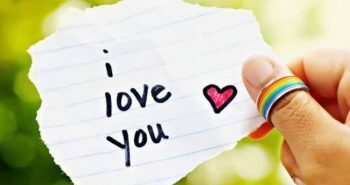 They planned the seashell to be so attractive, that Castro will be attracted towards it, and the moment he would touch the seashell, it would explode, causing him to die. The Scheme was dissolved as impractical, but depicts a proof of how far the government can go to assassinate someone! 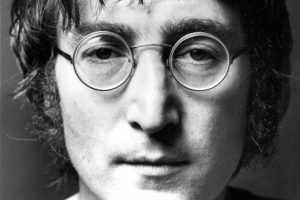 John Lennon was a staunch protestor of the war policies of the U.S Government. Not a big fan of President Nixon, Lennon promoted peace and protested the wars the U.S has been waging in some countries for decades. John Lennon was a vocalist for the famous rock band Beatles. He wrote and recorded a song called “I am the Walrus”, signifying U.S as the Walrus. The FBI watched and listened to his activities for years after he started protesting against the Government. The FBI terminated his Visa, and also arranged for his deportation. During the presidential election of 1972, all his concerts and events were monitored by the FBI, up till his murder in 1980. The Lennon files were declassified after 14 years of long court proceedings under the right of information act. The same Americans who despised Germans for their advanced war equipment’s brought in the people who made those war equipment’s possible. President Harry Truman saw the potential in German scientists and brought some selected scientists of the Hitler regime to America in 1946. The same scientists who allegedly killed thousands of people now lived under a new name and a new passport. 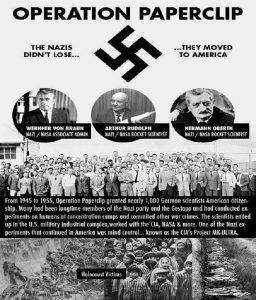 All their war crime record was decriminalized, and they were given permanent residency of U.S.
Wernher Van Braun, the man behind many Nazi Experiments, was also the man behind America’s successful space visits. Around 700 Nazi scientists were brought in from Germany, in 1946, with new identities, and all their files decriminalized. We all know what America did to Vietnam. Let’s not go into all the atrocities that U.S did out there. 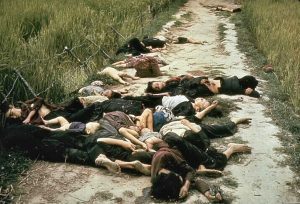 The My Lai massacre is the mass murder of 500 odd civilians, which consisted of women and children mostly. The horrible massacre happened on 16th March 1968 and was conducted by the U.S army residing in the My Lai area. Sources say, that before murdering the women, they were brutally raped and tortured. The massacres by the American Forces in Vietnam was not unheard of, but, a 21-year-old Major reported about several torturous schemes of the American army in Vietnam to the commander. The Commander ordered an inquiry, but Colin Powell covered up the inquiry and said in the report, that all was well between the army and the Vietnamese civilians. Started in 1932, it was an experiment conducted by the U.S public Health Services, to find out the cause and the solution of Syphilis. The African-Americans were tested for causes of syphilis and was given drugs for testing. When Penicillin came as a cure, the U.S government didn’t even care to treat them with that penicillin, and instead left them to die and degenerate, so that they can further their studies. Some died of cancer, some of the tumor, and some suffered from syphilis until their death. Some of the doctors were quoted as saying, that they have no further interests in them until they die. Disturbing, right? Edward Snowden, an associate of the CIA, who worked as an IT specialist, leaked some very classified information about the CIA, which led to a scandal. He leaked, about how the American government was spying on thousands of its citizens, by accessing their telephone records and internet history. Soon, the scandal got worse, when it was known that CIA had access to records of Facebook, Google, Microsoft and six other big companies. As per information, they were accessing about 600 million communications every day. How disturbing is it! The US Mustard was a navy ship in mid-1940’s who gassed its own sailors. In the verge of World War-II, when the war has just out broke, the U.S were getting prepared for the upcoming war, and testing their weapons. The US Mustard was carrying a highly poisonous gas, and the officials onboard the US Mustad, gassed the sailors, to test the essence of the gas. The sailors didn’t know anything and got a hint when they were given gas masks. Sailors who refused to enter the gas chambers were threatened with imprisonment and heresy. 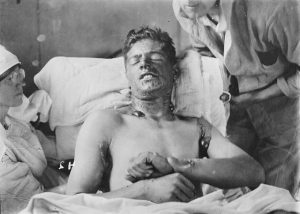 In some cases, the sailors passed out and in other cases, they had severe burns or heart impairments. Painful and Disturbing, isn’t it?